During Sue Bryce fine art workshop, where I photographed a self-portrait in front of the internet audience, someone asked an interesting question : Do you think people will judge you as being a very self centered person? I was really surprised by the question, because I never thought of myself like this. I answered that the people who know me won’t think that because they know I am not like that at all. The people who will judge me badly obviously don’t know anything about me, so I don’t really care what they think. I did not start taking self-portrait because I wanted to show my face: I started to take self-portrait because I needed to learn photography! I experimented a lot (and I am still now) and I didn’t want to bother a model everyday. I could have someone once in a week, but not exactly when I wanted, not in the middle of the night, not even in the day when everyone else was working in their daily job. So I started to take pictures of myself. And I realized I had A LOT of things that I wanted to tell in my pictures, and it was my story, so it had to be me in the pictures (maybe not but this is the way I feel). So this is how I started my « self-portrait therapy ». I never stopped, even when I feel like « I am getting to old for this » (slap me, I KNOW) or some day when I just feel like crap and I don’t want to see more of myself. One of my first self-portrait back in 2014. I remember it as a fun afternoon playing with speedlights in my kitchen while my housemates were at work! Because, yes, when you take a self-portrait, trust me, you can see your flaws. Like all of them, even some that you were not aware even existed! So, trust me it’s not narcissism, because there is no one harder on yourself than yourself. So I started to ask myself, it this a normal thing to take self portraits? What I think is REALLY INTERESTING, is that from all times, artists always represented themselves: there are numerous self portraits in the History of Art, and this, for A LONG TIME (like ancient Egypt paintings and sculptures, ancient Greek vases, etc). Although, it’s really around the European Renaissance (XVth century) that artists really started experimenting with this technique. They are many reasons for self portraits, and one of them was the artist could not afford to pay for a model: we can imagine painting could take weeks and even months, so it was cheaper to buy a mirror and to learn the techniques and train by themselves. (something familiar here mmh). 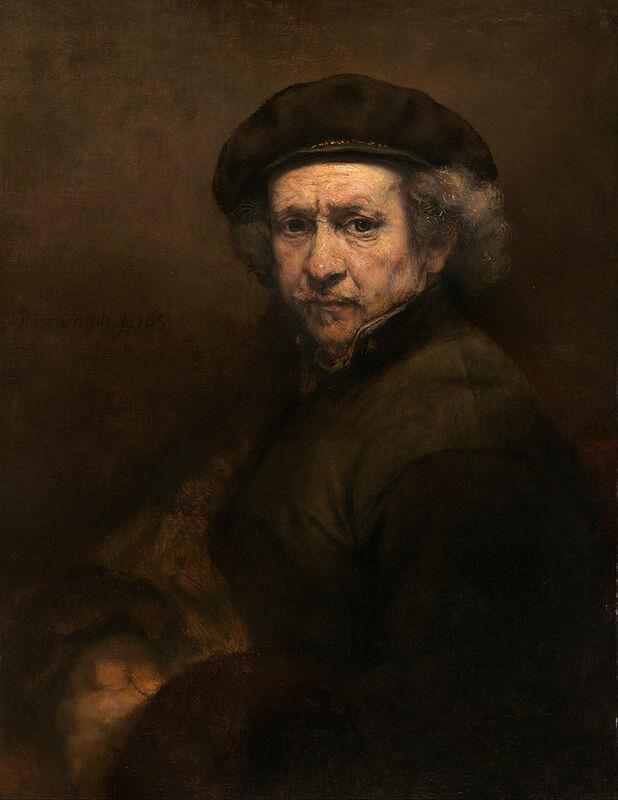 Rembrandt is really famous for his dozens of self portraits, and he painted himself all life long. I love his paintings (the guy invented a new way of seeing light, that’s something! )), he is not being easy on him, he represents himself as an old man, and we can feel the texture on his skin and the weight of the years. And I don’t think anyone told him he was being narcissistic, for sure! Rembrandt, Self Portrait with Beret and Turned-Up Collar, 1659. There were dozens of artists who played with self-portraits, you can check their work if your are curious about the subject: among them Picasso, of course Van Gogh, Gustave Courbet, Goya, Degas, Delacroix, Renoir, Matisse, etc etc. One of my favorite self portrait of all time is from Frida Kahlo : she is a Mexican painter, and had an accident that handicapped her all her life. She had a mirror installed on her bed, just above her, and she painted self portraits. I think she has a really cruel and hard vision of herself, and is she is not representing herself as « beautiful » . She represents her pain and story. (if you haven’t watched the movie about her life, go see it, it’s really great!). Frida Kahlo, The Broken Column, 1944. I think we are living on a culture where pictures are everywhere, and selfies are just a norm: we are judging girls who takes a lot of selfies, we feel that there is something narcissistic about that, and we don’t really understand the limits between selfies and self-portrait. I mean, even Kim Kardashian has a book of selfies, so is this becoming a new form of art? Or was it always there? 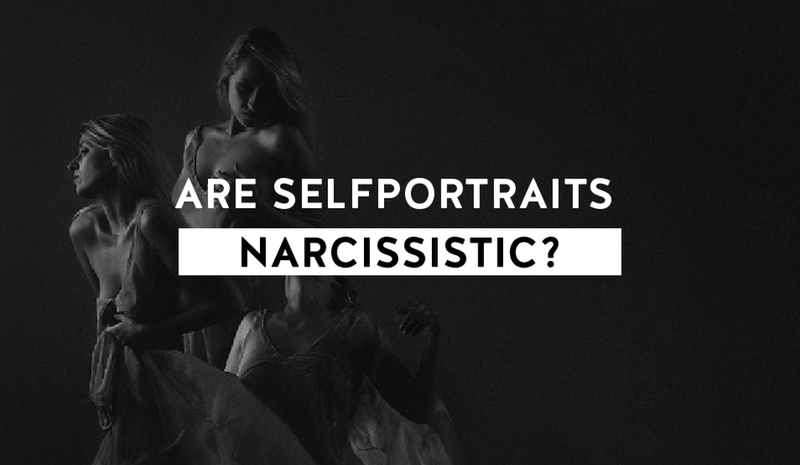 Interestingly enough, the first photographic portrait that was ever taken was a self portrait. So I would say to conclude (I could talk for hours on the topic), if you hesitate about doing self portraits: DON’T HESITATE. Just do it, people won’t judge you, it’s normal as a creator to explore different things, and self portraits are a great great way to experiment. Plus, if you don’t like the pictures, remember no one has to see them in the end, you only share what you really want to share.